(These poems) burn through modern America’s absurdities and unrepentant historical revision in a glorious rant against mediocrity, greed, capitalism and boring poetry, with copious riffs on painting and love. 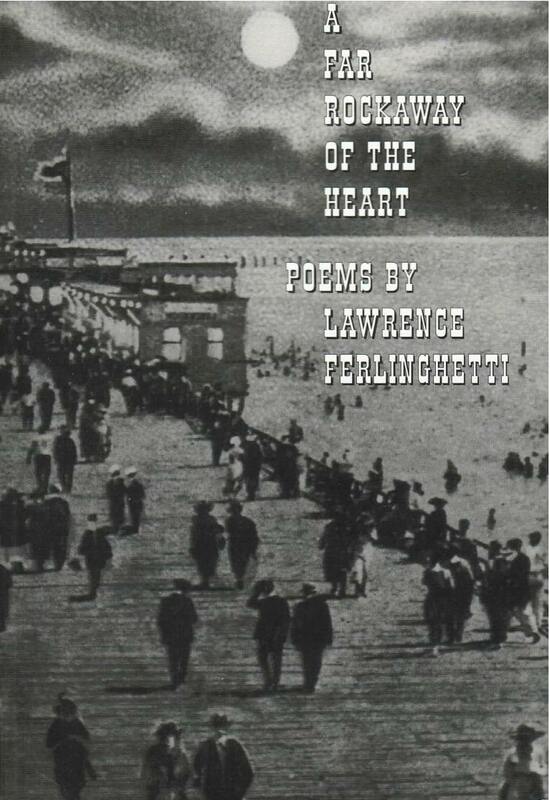 A Far Rockaway of the Heart is Ferlinghetti’s sequel to Coney Island of the Mind, written forty years afterwards in what the author has called “a poetry seizure” that lasted more than a year. A sequence of one hundred and one poems with recurrent themes, it includes various sections on love, art, music, history, and literature, as well as confrontations with major figures in the avant-garde before the arrival of the Beat generation. This paperbound edition now includes eighteen new poems from Ferlinghetti’s Pictures of the Gone World which he publishes under his City Lights imprint. A self-styled “stand-up tragedian,” Ferlinghetti has been called “the foremost chronicler of our times.” If A Coney Island of the Mind was a generation’s vibrant eye-opener, A Far Rockaway of the Heart is a wake-up call for a new age.